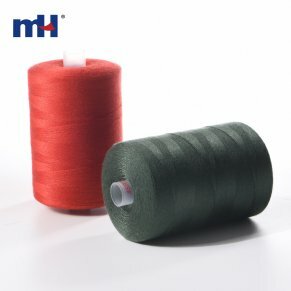 Corespun threads are made by wrapping a staple polyester or cotton wrapper around a continuous filament bundle of polyester fibers during spinning, and then plying these yarns into a sewing thread. 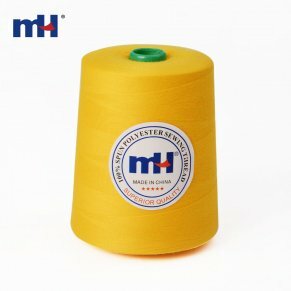 The continuous filament polyester core makes up approximately 60% of the thread construction. Core spun threads are recommended for the most demanding sewing applications from sewing fine blouses that are susceptible to seam puckering ... to denim products that will be stone-washed or sand blasted.